Very aptly named: these boisterous bugs can create a small explosion to ward off predators. There are about 500 species of bombardier beetle. They can be found on every continent, except Antarctica. They are carnivorous insects, even in the larval stage. 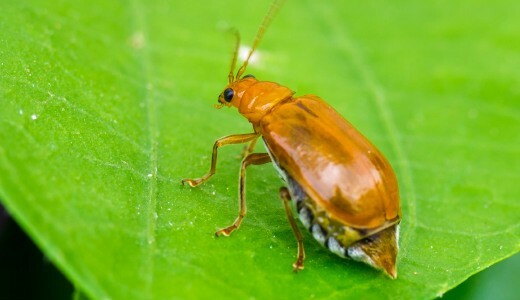 When alarmed or threatened, these beetles can set off a small chemical explosion which shoots out from their abdomen. This explosive spray can reach temperatures close to 100˚c! Their explosive defence mechanism can kill other insects and scare off larger predators.